And yet we used to survive with the available means for information access. But with Google, it became easier! And yet we used to survive with Google's search results for information location discovery. But with Wikipedia, it became richer! "There was no Kannada Wikipedia"
And yet we used to survive with English information. But with Kannada Wikipedia, it became warmer! 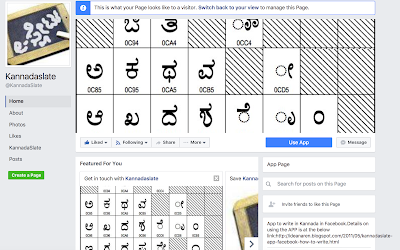 "There was no in-built Kannada input option in Kannada Wikipedia"
And yet we used to survive with IMEs for creating Kannada content in Wikipedia. But with the new feature, it became faster! If you are still confused about what Wikipedia is, then check http://en.wikipedia.org. If you are still confused about what Kannada Wikipedia is, then check http://kn.wikipedia.org. At present Kannada Wikipedia is at position 96 in the total number of articles in Wikipedia across all languages, with a total of 4765. Can we make it jump up by 95 positions?! Details about entering kannada content is here.